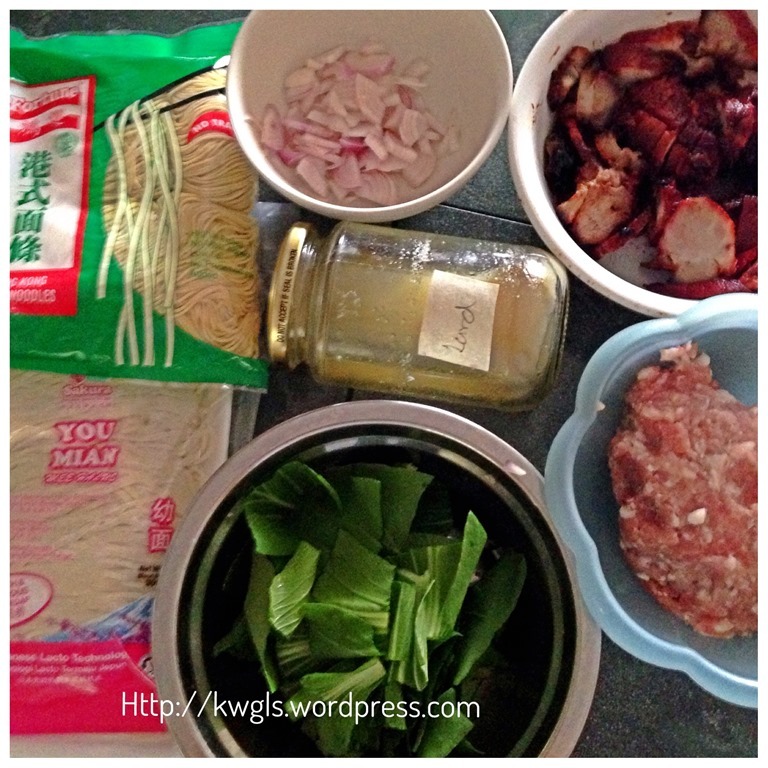 I remembered I started my long post on the famous Sarawak Laksa with these few words…. 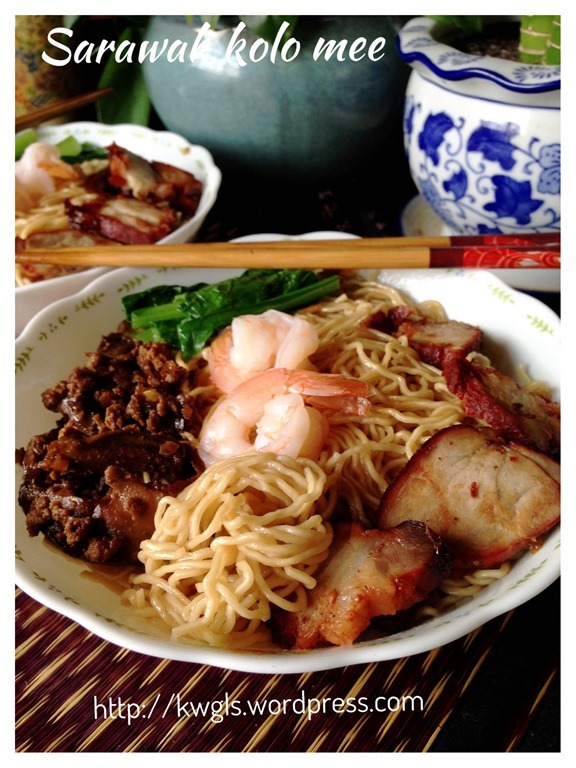 The same applies to Kolo Mee, the second most common noodle dish in Sarawak, Malaysia, particularly in its capital city Kuching. 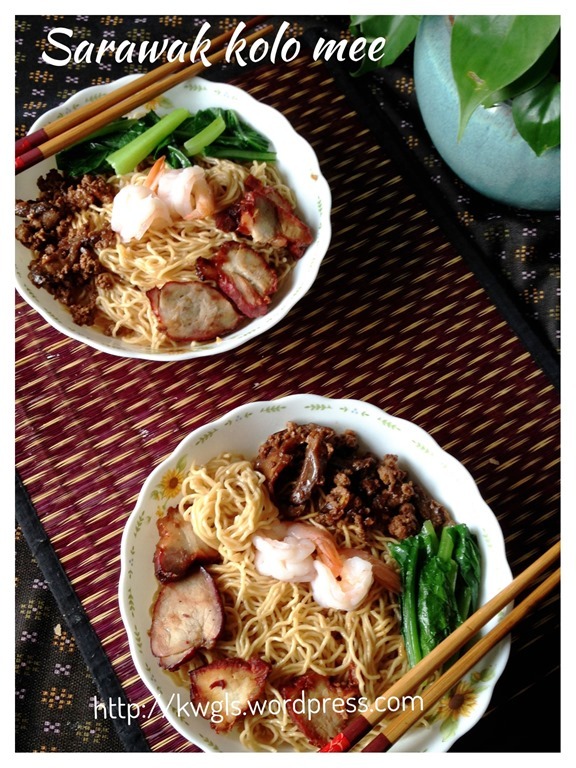 As a Sarawakian, it will be unfair to my state of origin if I did not blog about Kolo Mee (or Sarawak Dry Noodles used interchangeably). 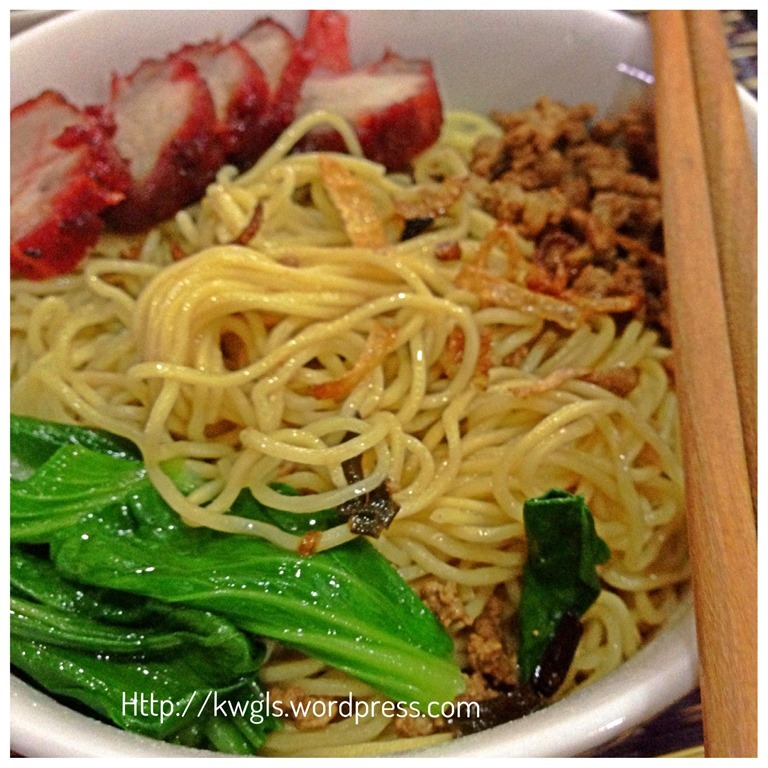 Kolo Mee, a type of Sarawak dry noodles is deep rooted in the hearts of Chinese especially in the city of Kuching. 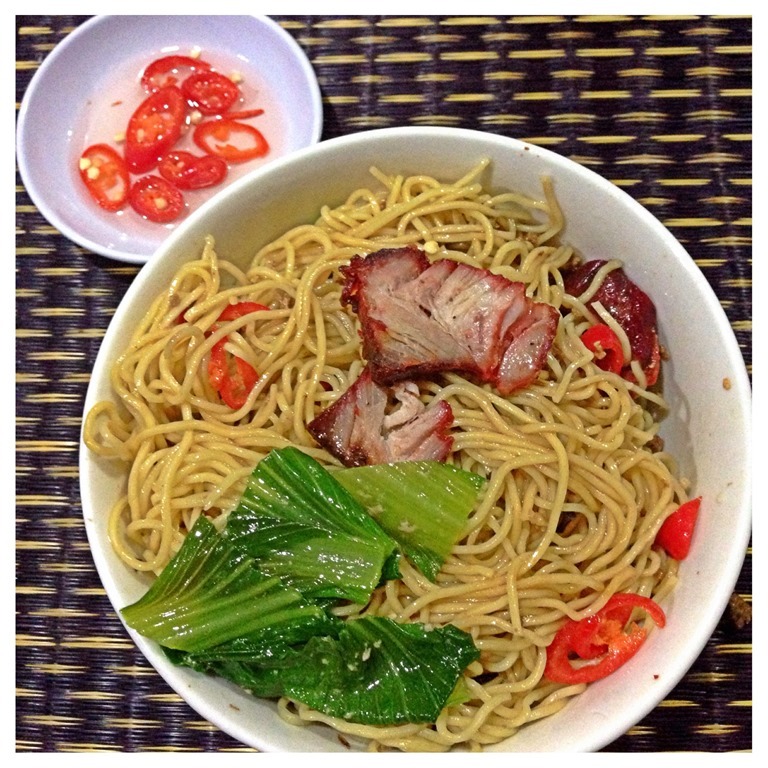 Sarawakians who are overseas have always craved for this special noodle and Sarawakian in Sarawak can have this noodle dish as breakfast, lunch, dinner or even supper. There will be at least one store selling Kolo Mee in any eating outlets. The popularity is just like fishball noodles in Singapore context. Though popular and unique in its presentation, however, I am reluctant to say that the noodles originated from the State of Sarawak. 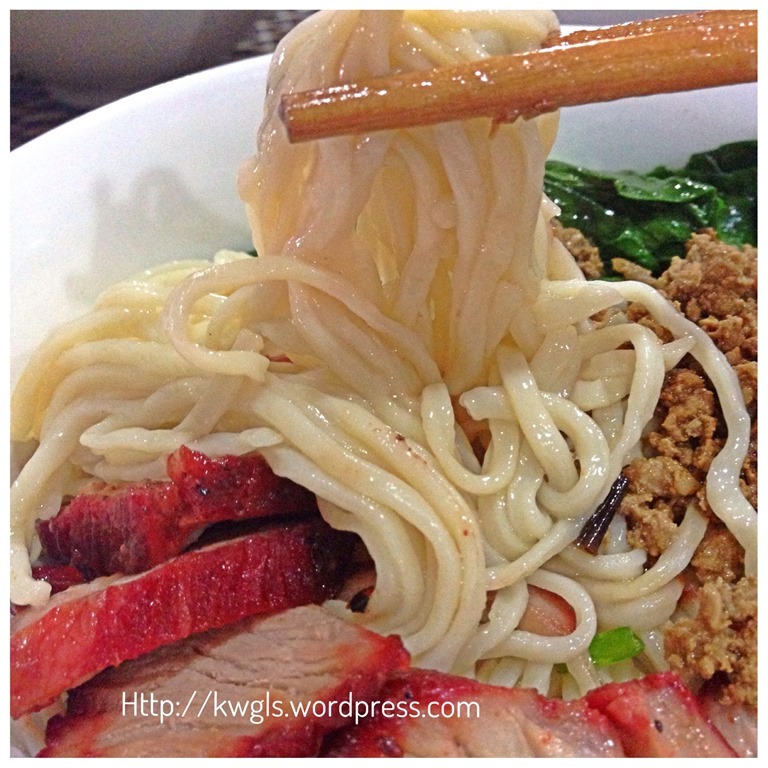 Singaporean foodies who visited Kuching and have the noodles said that it resembles the type of noodles called 车仔面 or Cart noodles which was common in the 1960’s. 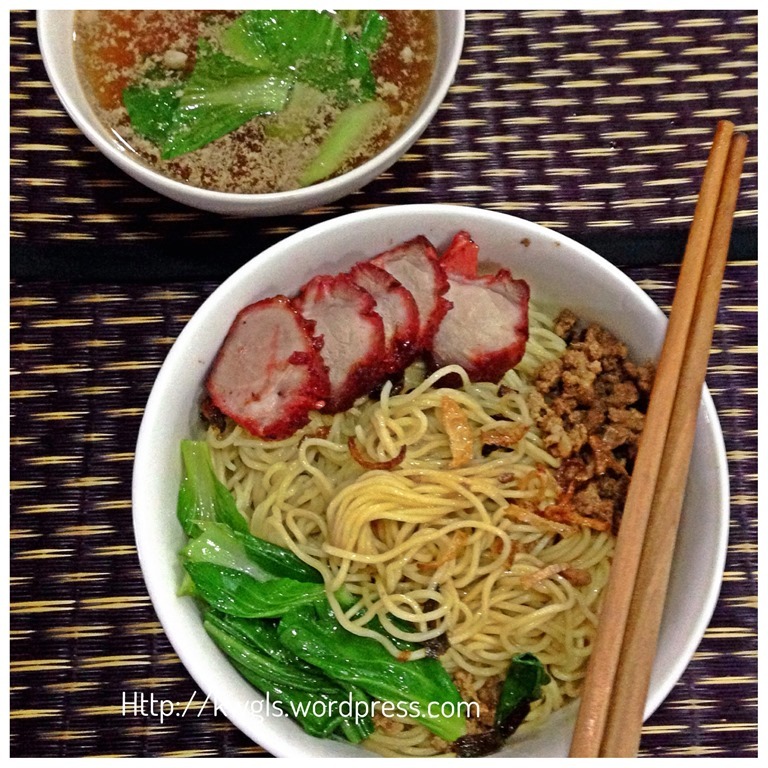 Some of the images that I have sourced from internet websites do have some resemblances to Sarawak Kolo Mee particularly websites from the area of Xiamen and Chaozhou, People’s Republic of China. In Singapore, there is a type of wanton noodle called Kluang wanton noodles, it is rather similar in taste and noodles textures. 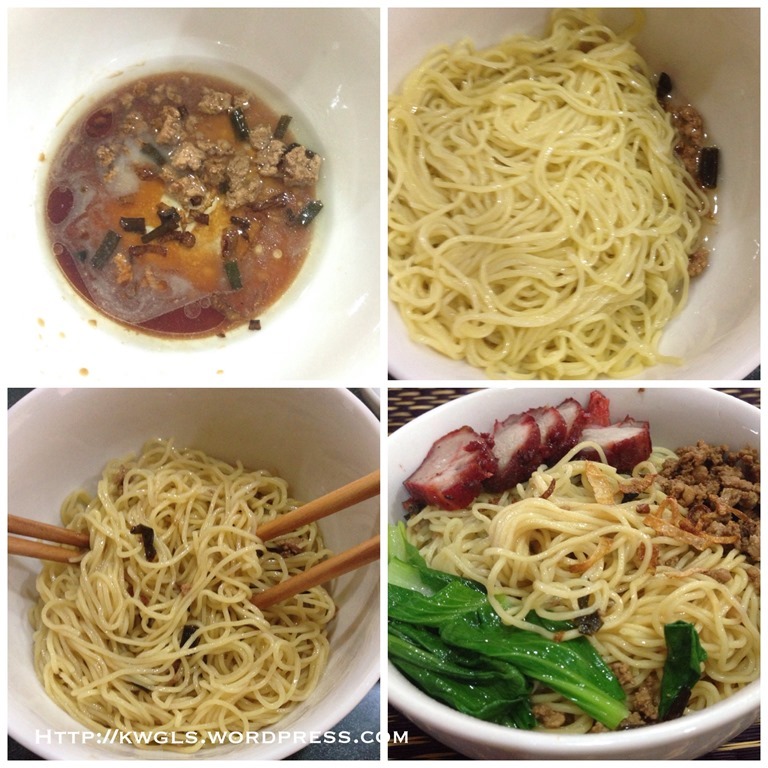 The same for the Feifei wanton noodles in Joo Chiat Road, Singapore, the taste are closed but not exactly the same. The popularity have started to expand to places besides Kuching. 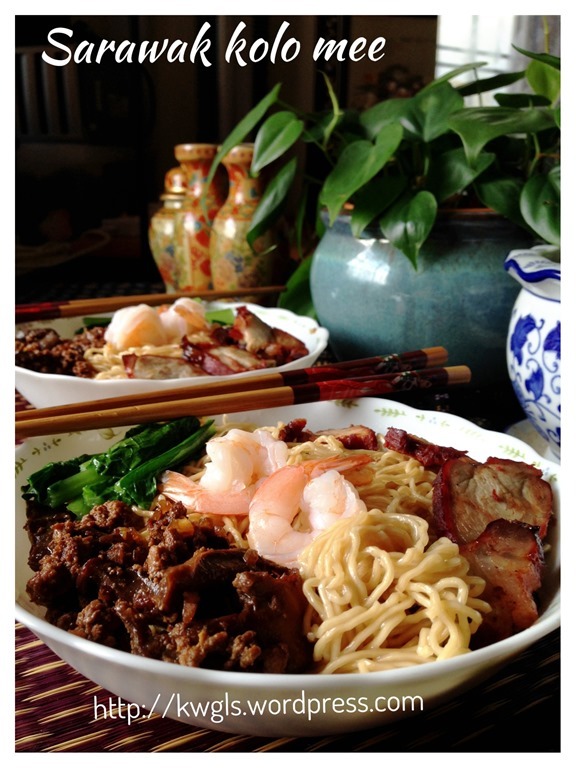 In Singapore, there is a rather big restaurant chain called Jiaxiang Sarawak Kolo Mee and some hawker centres selling it. 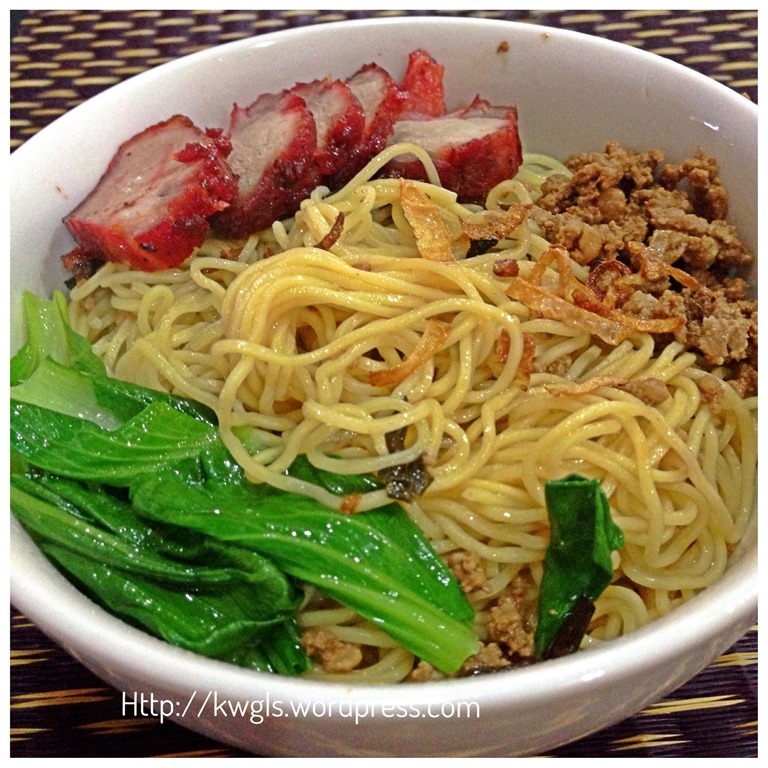 In fact, Singapore’s Channel 8 do have a TV show recently on the SARAWAK KOLO MEE. I understand there are also stores in Kuala Lumpur and Johor Bahru, Malaysia that sell the noodles. Besides, in bigger cities where there are a lot of Sarawakian’s residing such as Melbourne, Perth, Toronto, the noodles were being sold in local Sarawakian restaurants. If you stay in Kuching, Sarawak, it is rather unlikely that you will be preparing this noodle dish yourself since it can be easily bought in any eating outlets. Prices are generally reasonable and not many foodies will want trouble themselves to prepare such noodles. However, in overseas, foodies may have to wait for the relatives to “pack” them the noodles when they visit them from Kuching or they will have to eat at the restaurant at a rather high price. Is it not good if overseas Sarawakians are able to prepare the noodles themselves ? 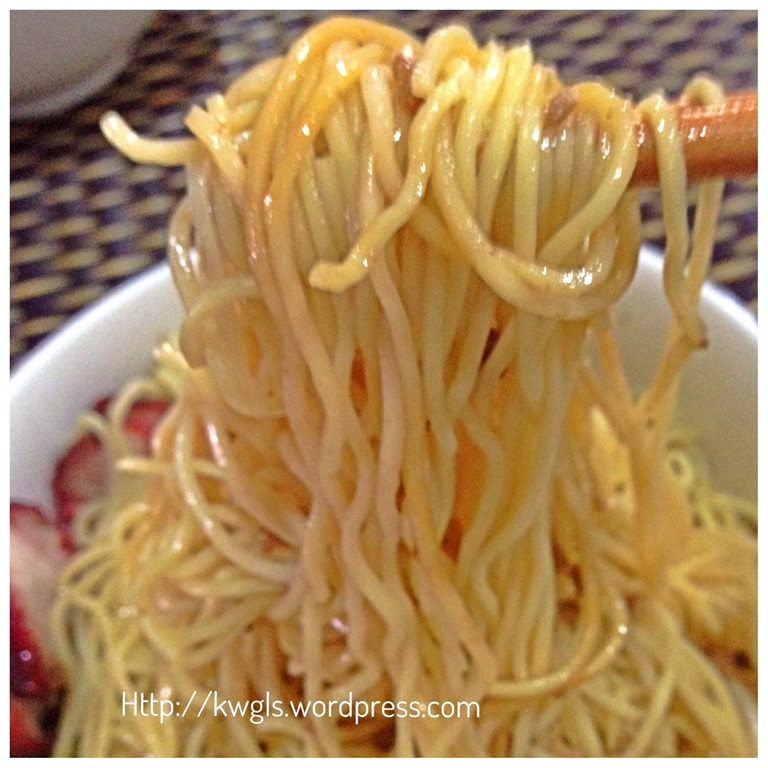 The challenge of preparing this noodle dish is the type of noodles used. 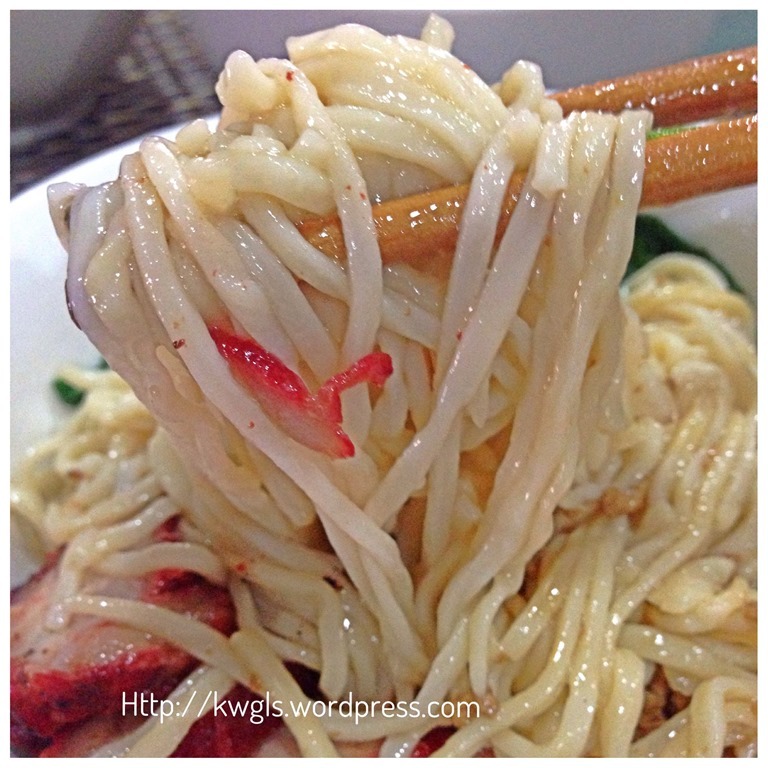 The noodles used in Kuching is a type of springy egg noodles without the use of any alkaline water (碱水）。For size and texture, it resembles the type of noodles used in the preparation of wanton noodles in West Malaysia or Singapore. But the taste and colour are different. The colour is lighter and the taste is without the strong flavour of alkaline water. Being in Singapore, I do not have the noodles like those in Sarawak. I have resorted to the use of two types of noodles commonly sold in the Singaporean supermarkets. One is called “Hong Kong Noodles” with eggs and alkali water usually used for the preparation of wanton noodles and another noodle is called the “You Mian” without eggs and alkali water. Lard is traditionally used in these cuisines and recently I was shocked to know that most of the stalls in Kuching still uses lard in the preparation of this noodle dish. Depending on individual, you can just use cooking oil or olive oil instead. In a frying pan, have 1 cup of cooking oil, heat the oil under medium heat. 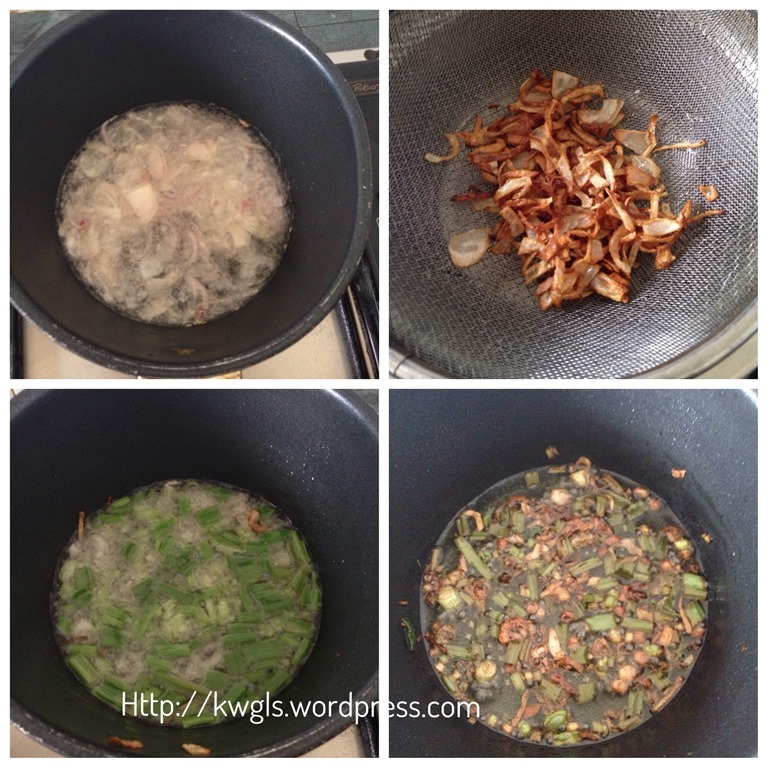 Add in the chopped shallots and deep fried until the shallots are brownish in colour. Drain and set aside. The shallots shall be crispy when cold. Keep in an airtight container if desired. Use the same oil, add in the chopped spring onions. Stir fried the spring onions until brownish and let it soaked in the oil. When cooled, transfer the shallot oil to a bowl and set aside for later use. 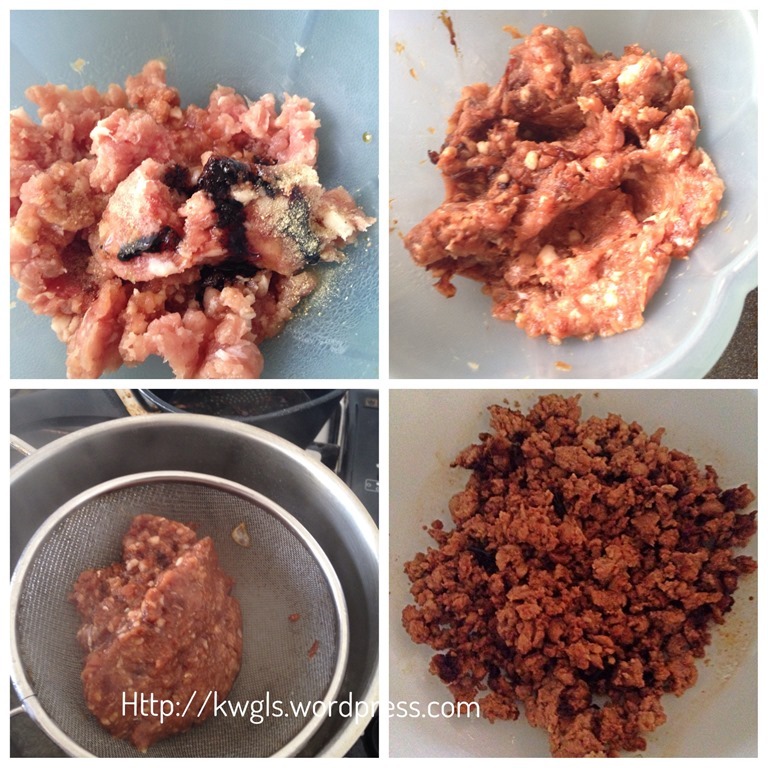 For 200 grams of minced meat, marinate the mince meats with 1 teaspoon of light soya sauce, 1 teaspoon of dark soya sauce, 1 teaspoon of sesame oil, pinches of white pepper and pinches of salt. Stir well and let it marinate for about 10-20 minutes. In a pot of boiling hot water, put the marinated minced meat in sieve, put the sieve in the boiling hot water and blanched the minced meat for 2 minutes. Take out the blanched minced meat, put in a bowl, add one scope of dark soya soya sauce, one tablespoon of shallot oil, and additional white pepper. Set aside for later use. Keep the meat blanching water for preparing of some vegetable soup to go with the noodles. Use the same hot water to blanched the vegetable for 1-2 minutes, drained and set aside for latter use. For minced meat, if you do not want to use blanching method, another alternative is to stir fry the minced meat with 1-2 tablespoons of shallot oils for about 5 minutes. In a hot pot of boiling water, put in one serving of noodles and cook the noodles by following the instructions as in the package, In this illustration, the package required the noodles to be blanched in hot boiling water for 45 seconds only. 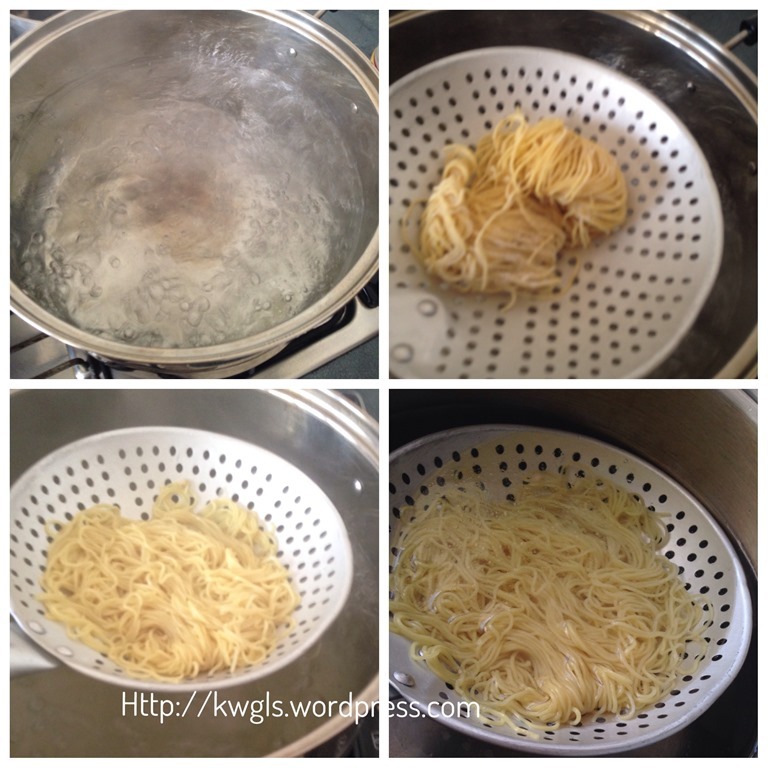 Transfer the hot noodles to another pot of cold water for 10 seconds. Drain and put in the serving bowl with all the seasonings (PLEASE REFER BELOW). To summarize, the following should be ready before assembling the noodle dish. Fried shallot, white vinegar, black vinegar (optional), light soya sauce, minced meat, Chinese barbecue pork, blanched choy sum (in this picture, I used xiaobaicai), shallot oils and lards. In a serving bowl, put 2 tablespoons of shallot oils, 1 teaspoon of white vinegar, 1 teaspoon of lard (optional), 1 teaspoon of light soya sauce, pinches of salt, pinches of sugar or seasonings of your choice (such as mushroom concentrate or if you prefer MSG). Mix well and add the blanched noodles (immediately after you blanched and dipped in cold water). Use 2 pairs of chop sticks or any other kitchen utensils to mix the seasonings, shallot oils and noodles as evenly as possible. 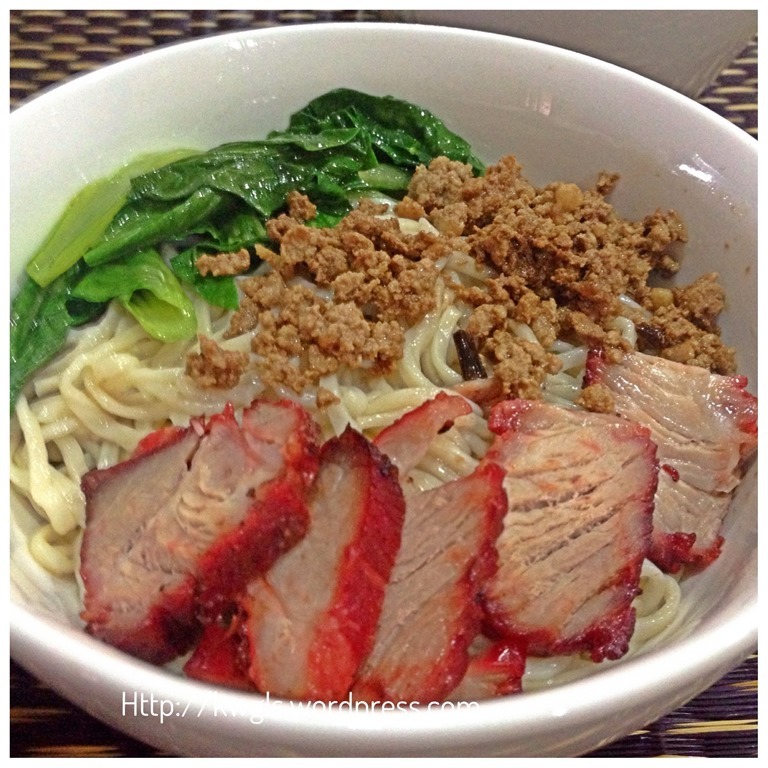 Put some blanched vegetables, 1 tablespoon of minced meat and some Chinese barbecue pork on top of the noodles. Let it rest for 2-3 minutes before serving. In a small soup bowl, transfer some minced meat broth and put in some blanched vegetables. Best served with hot with soup (optional) and red cut chilli dipped in white vinegar. This is a rather long post. 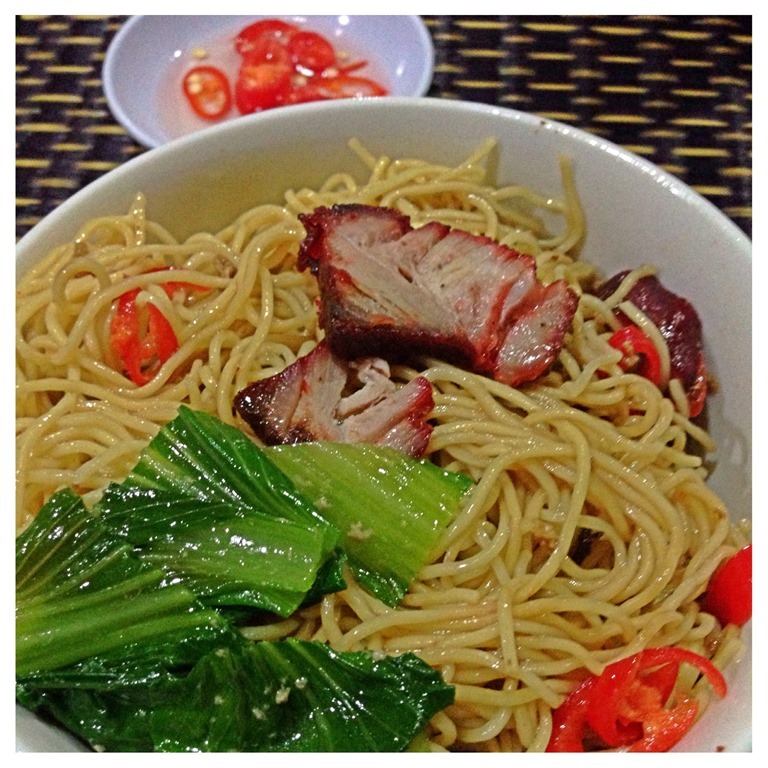 The taste of this noodles dish is satisfactory as compared to those sell in Kuching Sarawak. The most obvious difference is the noodles used. As I can’t get the authentic noodles from Sarawak, I will have to substitute with the next best alternative so as to satisfy my palate. I will continue to search for better alternatives in Singapore and I may want to “thick skinned” enough to ask the store owners selling Kolo mee in Singapore where is the source of supply of their noodles? Imported… I seriously doubt? Making at home….? I was surprised to see my kids having 2 big plates of noodles .. Possibly they are also craving for the noodles. Of course they will not be able to criticize whether or not the noodles that I prepared is authentic or not. This is a localized and regional dish.. However, I strongly encourage my readers from Singapore, West Malaysia or other countries to try it. None of my circles of friends who visited Kuching have ever reject the offer as the taste is quite an international taste..To conclude: If you like wanton noodles anywhere in the world, YOU WILL DEFINTELY LIKE IT! DO GIVE IT A TRY! It is not difficult to prepare at all!! Hope you like the post today and cheers. Have a nice day. 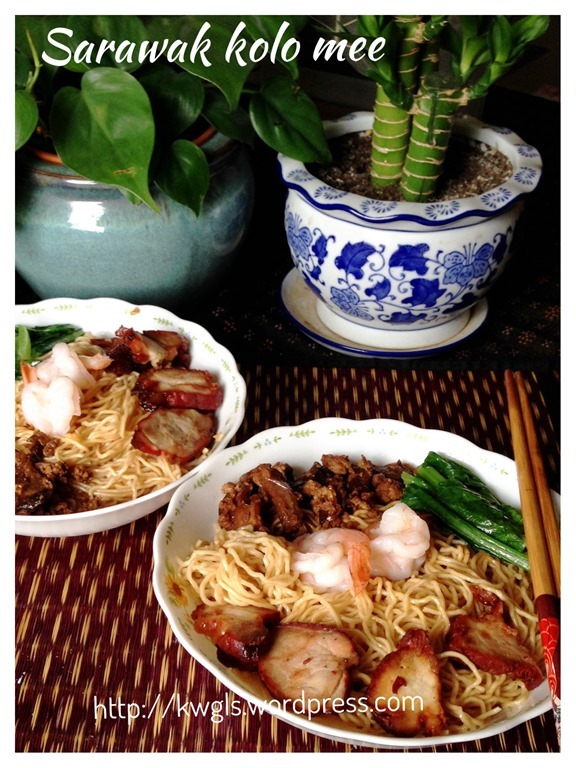 This entry was posted in Dish, Food Preparation Series and tagged kolo mee, noodles, sarawak, sarawak kolo mee, wanton noodles. Bookmark the permalink. Mmm, I just LOVE noodles. You’re making me hungry! This is another dish that I would definitely order out, but I wouldn’t know where to start making it at home. Very impressive, Kenneth! 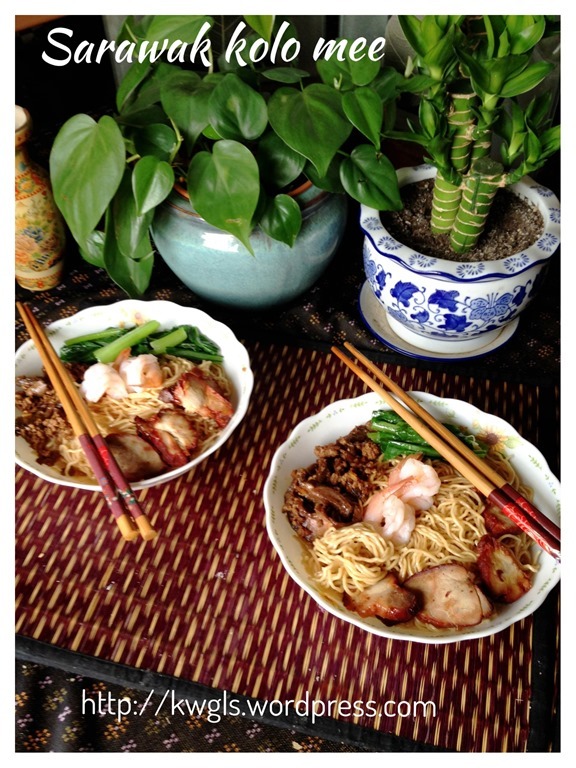 Stumbled upon your blog while looking for Asian recipes and found this. Omg, now I miss home so much. 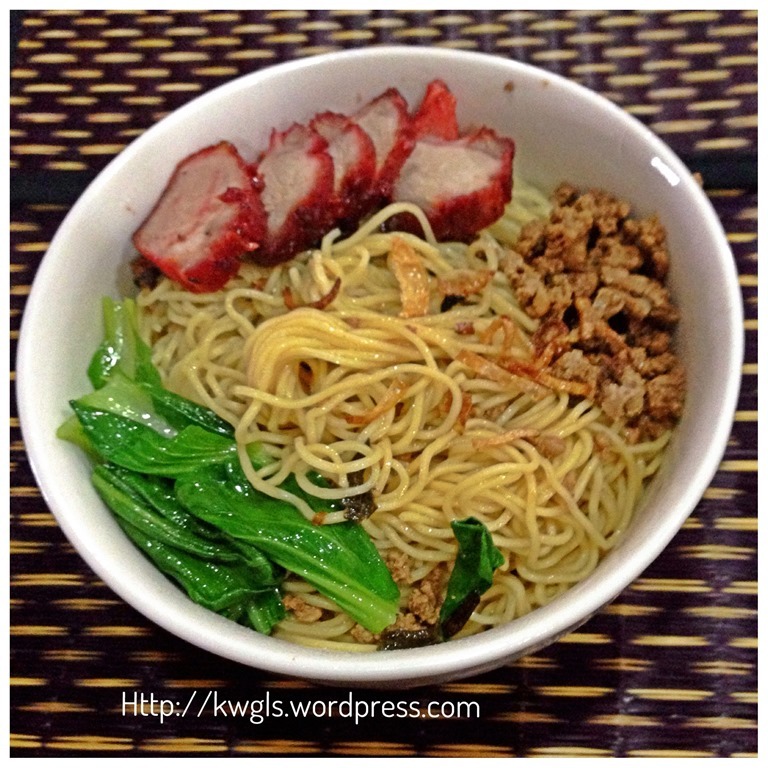 Don’t really like kolo mee but will definitely try out your recipe when I’m home sick! 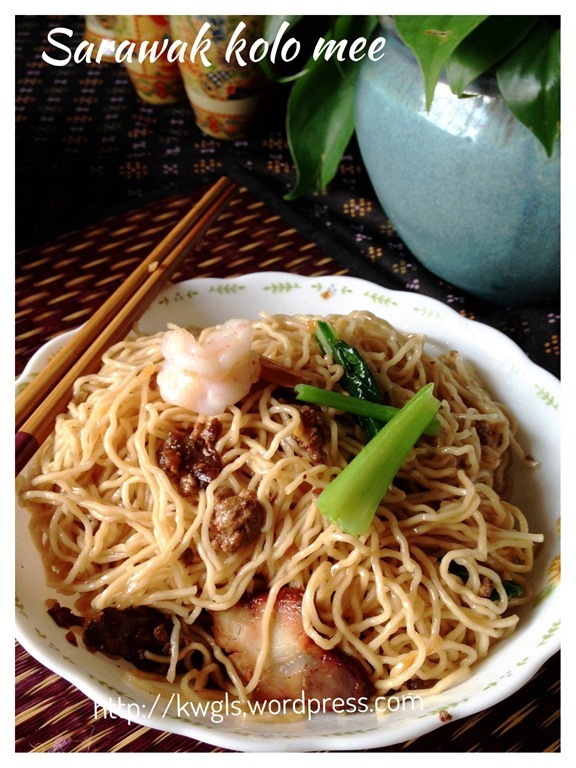 Hope my recipes will help overseas readers to find their home food! This recipe is a keep.. I followed your guide and made this noodle successfully.. my daughter said it’s yummy! Thank you. 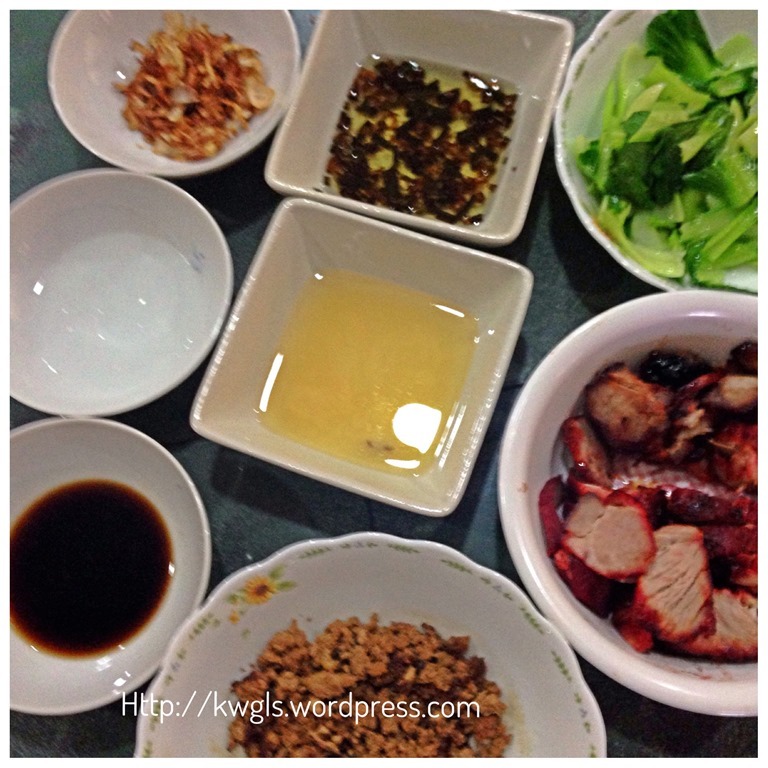 Hope you can have more write up on traditional or home town food. Glad it suit your family’s taste buds. 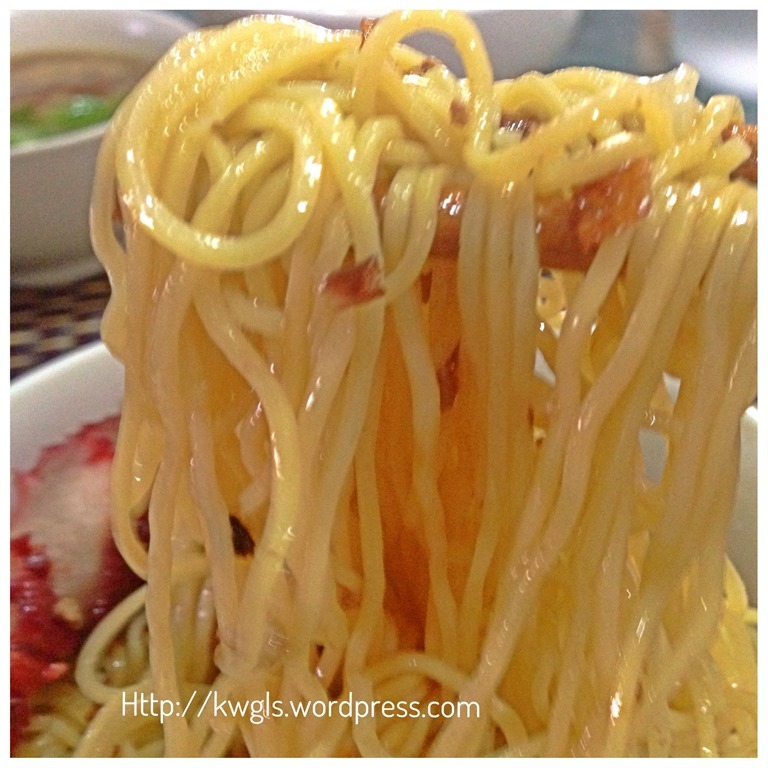 do you know where to find kolo mee supplier at JB or Singaproe? I am sorry, no idea at all. I live in the Netherlands. When I visit my parents in Singapore my family and I love to eat @Jiaxian Sarawak chain. I have tried your recipe and well … it’s a great success!